Previous PostCheesy Courgette Biscuits for Little and Big People.Next PostGluten Free Orange and Redcurrant Polenta Cake. I enjoyed the detailed explanation for metabolism of carbohydrates. I too have been asked to talk about low carb diets and feel that they are gaining popularity again which is a little bit worrying. In your opinion do you think it is appropriate for an overweight individual to trial a low carb diet for a few weeks to get the weight loss process going? Thanks for your comment, I’d advise checking portion sizes of carbohydrates and not going “low carb” but small portions at each meal, combined with exercise. 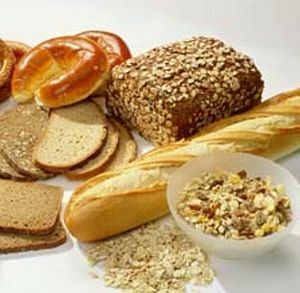 True, carbs are not the bad guys, neither are fats or protein. They are all essential. I’m discovering that the ideal proportion of each varies according to the individual. At this point in my life a low-carb diet happens to be right for my health. What happens when I eat high carb food (even whole grain)? Ironically, everything you listed as a result of avoiding carbs and more. What happens when I eat low carb? (carb intake limited to non-starchy veggies and moderate fruit, typical paleo) Optimal energy, relief from pain and inflammation, no cravings. Carb intolerant? Maybe. Weight gain is not an issue either way. All I know that low carb is what works for me. Hi, this was a good clear post detailing the importance of carbs, the way they are broken down and when they can be a problem. It’s important for people to have this knowledge, a number of the individuals that I work with have very mixed messages on carbs and the importance of them in their diet. As you said the key is portion control and making the right selection of carbs. Thanks Gillian, you are so right, I meet lots of people very confused about carbs! Let’s go educate them! Love it! I know that if I can’t make being fit and losing weight fun, I will never get the motivation to do anything healthy. Doing things like taking my dog for a walk or in a nearby mountain area can be a nice change of pace. Anything is better than running around in circles on a track or sitting on a stationary bicycle all day. that you will associate eating healthy with something that also tastes great. Thanks for taking the time to write all of this. It’s very hard to find find good information on health. I know that this is going to help a lot of people! You are very welcome Vera, thanks for your comments. Yes doing exercise you enjou is always the best way, that’s what I do too.